At Interval House, we stand for dignity, safety and freedom from domestic violence. Just about anything else – put on your thinking caps! The beauty of Third-Party Events is that hosts are able to share Interval House and its mission with their own networks, broadening our agency’s reach. And any money that is raised is done so without impacting Interval House’s limited staff resources. Apply now to host a Third-Party Event for Interval House! And please review our Third-Party Event Guidelines to ensure your experience is a positive one. “Freedom,” the fine art photography exhibition held at the Golden Thread gallery in West Hartford on a balmy August evening in 2016, was an artfully successful example of a Third-Party Event! 30 area-based photographers, members of CTPPA (Connecticut Professional Photographers Association), donated their framed prints. 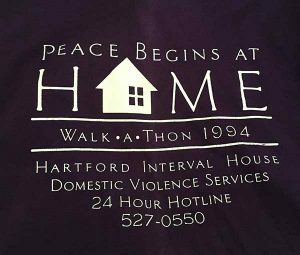 One hundred percent of all sales and donations went to Interval House, the specific beneficiary under the CCADV (Connecticut Coalition Against Domestic Violence), whom CTPPA supports. 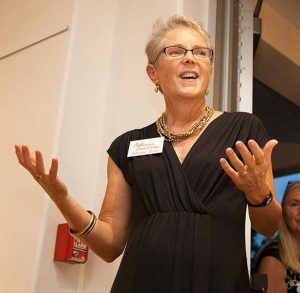 The evening event was opened by Karen Jarmoc, CEO of CCADA and Catherine Bradshaw, then-interim Director of Interval House, and a poem was read by survivor Sarah Gallardo who directs “Sarah Speaks Up” and the “Veterans For Victims” program. Deb Key, an accomplished Avon photographer and member of CTPPA, conceived the concept as a creative way to celebrate the “power of the print,” to raise both awareness and funds for victims of Domestic Violence so to rebuild their lives with freedom from fear. Becker’s Catering provided appetizers and desserts for the event and Ninety + Cellars served a tasting of wines and beers. Live acoustic music by Doug Maher made the event even more harmonious. Photo art was also contributed by renowned speakers who presented at CTPPA educational events within the past 18 months. Fine printing services were donated by Alkit and Bay Photo.